Why Swift for iOS Development is gaining momentum then Objective-C? 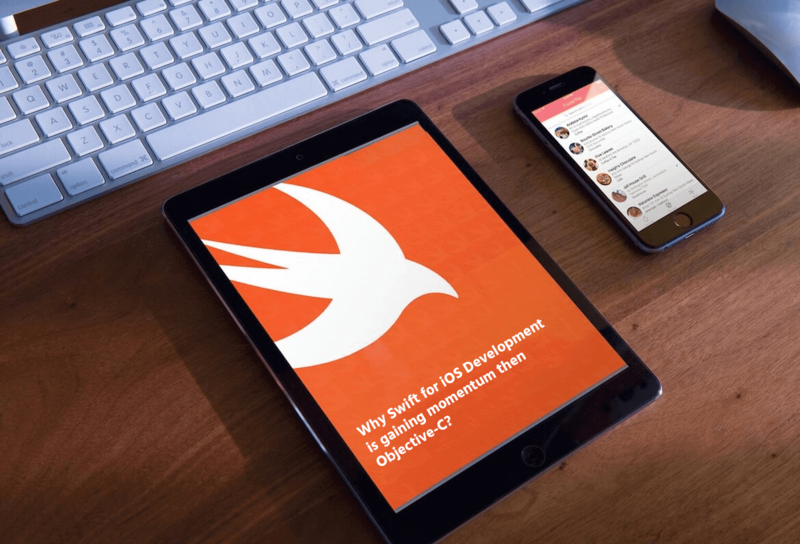 HomeUncategorizedWhy Swift for iOS Development is gaining momentum then Objective-C? One should choose a programming language smartly as the efficiency of the whole project will depend on the same. Objective- C is a language which has been since 1983, beginning of the iOS. It holds much importance and very popular. In 2014, Apple launched Swift, a new programming language for iOS apps as an alternative to Objective C. Apple designed it to be more compatible with all of the existing iOS development tools- xCode, Objective-C and the Cocoa framework. Swift possesses many out of the box features which make Mobile App Development Company work process easier and faster. It is Most Innovative Approach as it designed to make app development more innovative, interactive and approachable. Let’s explore a few reasons why you should get on board with the Swift programming language for your next iOS app development project. Swift was developed to be the fast and powerful since its inception. The programming language’s Syntax is there to correct some typical types of mistakes and it makes the work faster. Moreover, the plus point is Swift memory is managed automatically. The programming language-Swift is easy to learn and writing code takes almost half the time. Developer just needs to write 1 or 2 lines of code in Swift compared to lengthier code in Objective-C. Developers can also use emojis in this programming language. Swift syntax is concise and simple. It doesn’t mean that it is less expressive. However, it guarantees productivity. Apple considers Swift as a safe, modern and powerful coding language. Swift’s playground feature allows the user to interact with a running application which Objective- C cannot. The programming language supports ARC(Automatic Reference Counting) across all APIs and this stability helps programmers need to spend less on memory management. At last, I can say that choosing Swift programming language over Objective-C is the smart choice to get robust, secure and engaging iOS application. You should to hire experienced iOS developer from Data EximIT to execute your iPhone app development project.